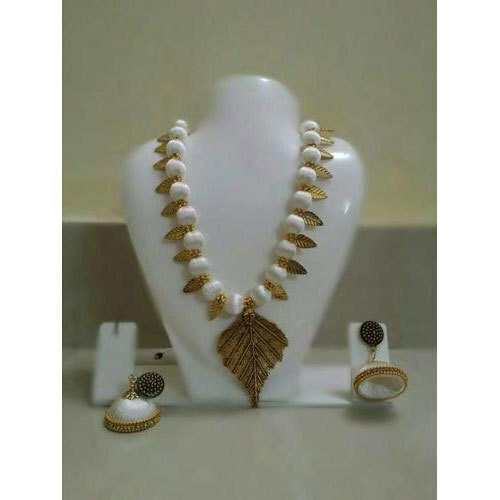 Our company holds immense experience in this domain and is involved in offering a wide assortment of Antique Necklace Set. Incorporated in the year 2016 at Chennai, Tamil Nadu, we “Athreyas” are Sole Proprietorship (Individual) based firm, engaged as the manufacturer, wholesaler, trader and retailer of Ladies Bangle, Jewellery Set, Necklace Set, Ladies Jhumka and Silk Thread Earring. We provide these products at reasonable prices to our respected customers within the exact time period. We also specialize in customization of the product according to the specific needs of various industries across the nation.